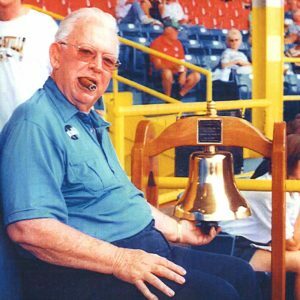 Peter (Pedro) Bragan Jr. and his family are part of the legacy of baseball in Jacksonville. Millions of people enjoyed hot dogs and peanuts in the stands originally at Wolfson Baseball Park, and then at the Baseball Grounds of Jacksonville, while watching the Jacksonville Suns, a Double AA Affiliate of the Miami Marlins, the best team in the Southern League since the turn of the century. Fans enjoyed everything from fireworks to the giant cake used to celebrate Mr. Bragan Sr.’s birthday every July 3. If lucky, you could catch a glimpse of Pedro’s dad, Peter Sr., smoking a stogie while talking with the fans near the famous “President’s Bench”. 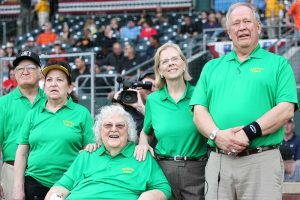 The legendary Bragan family gave Jacksonville 31 seasons of America’s favorite pastime sport, and six Southern League Championships. Under the Bragan ownership the Jacksonville Suns became the most successful minor league sports franchise in Jacksonville history. Peter (Pedro) D. Bragan Jr. (1951- ) was born in Birmingham, AL. A power-hitting first sacker, he batted cleanup for the legendary Eddie Stanky at the University of South Alabama. Known throughout the Southern League for his hard work at Wolfson Park and for building up a nationally recognized baseball team with his dad. Pedro was instrumental in the overall planning, design and opening of the Baseball Grounds of Jacksonville (2003). 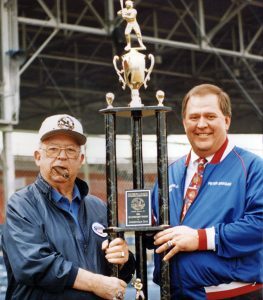 For his dedication to baseball, he was awarded the prestigious Jimmy Bragan Southern League Executive of the Year Award (1987, 2003 and 2005). He and his father were both honored with the Sporting News Minor League Executives of the year Award (2004). Peter is well known and respected for his untiring commitment to the community, especially the youth. Today, he and his lovely wife, Nancy, continue the Bragan baseball legacy with The Peter Bragan for Better Baseball Foundation. 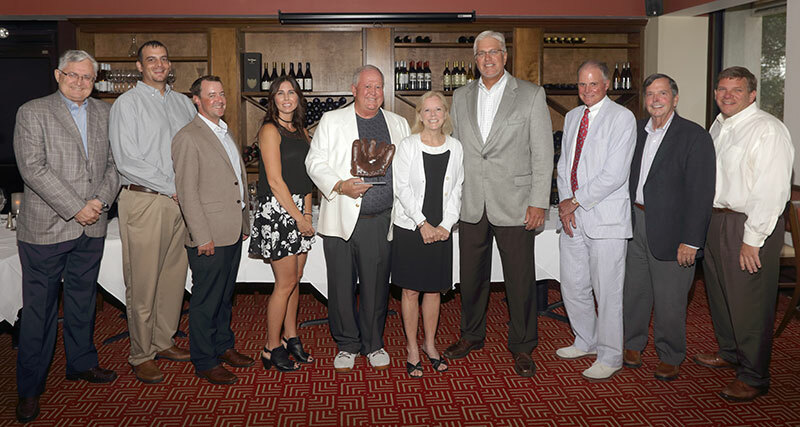 In 2016, Pedro and Nancy launched the Foundation to continue the Bragan family baseball legacy. They brought together a dedicated group of individuals who shared their mission and vision to serve on the Foundation’s Board of Trustees. To financially support and promote the game of baseball for the betterment in Northeast Florida, and to provide scholarships for higher education, as well as to assist the community in times of natural disasters. to award meaningful grants in perpetuity to organizations and institutions to better the game of baseball. to open the Foundation’s dream, The Jacksonville Baseball Museum, A History of Professional Baseball in Jacksonville, providing a cultural destination to showcase the historical legacy of baseball through permanent display of an archived inventory of memorabilia, education programs, audiovisual history, and interactive education exhibits of baseball in Jacksonville. Some all-time great ballplayers played in a Jacksonville uniform – Hank Aaron, Phil Niekro, Tommy John, Nolan Ryan, Tom Seaver, Randy Johnson, Alex Rodriguez, Clayton Kershaw, Giancarlo Stanton, Larry Walker, Jose Fernandez, and J.T. Realmuto. During the three decades of ownership, the Suns held affiliations with six different Major League teams: The Montreal Expos (1985-1990), Seattle Mariners (1991-1994), Detroit Tigers (1995-2000), Los Angeles Dodgers (2001-2008), Florida Marlins (2009-2010), Miami Marlins (2011-2015). 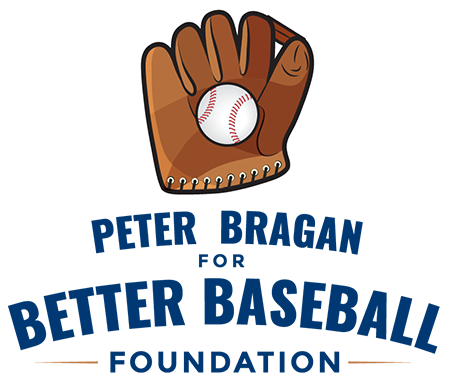 PINCH HITTER (over 70) – $25 Volunteer Ambassador Card autographed by Peter Bragan, Jr., special event invites at a discount. The left-handed, 1930’s model Nokona fielder’s glove was given to Peter Bragan Sr. by his brother Bobby Bragan who got it from an unnamed teammate on the Philadelphia Phillies.